Adam’s article on the Royal Automobile Club’s two golf courses at Woodcote Park in Surrey was recently published in Pell-Mell and Woodcote, the RAC’s member magazine. This is a new and prestigious title for us, and one we are delighted to have contributed to. 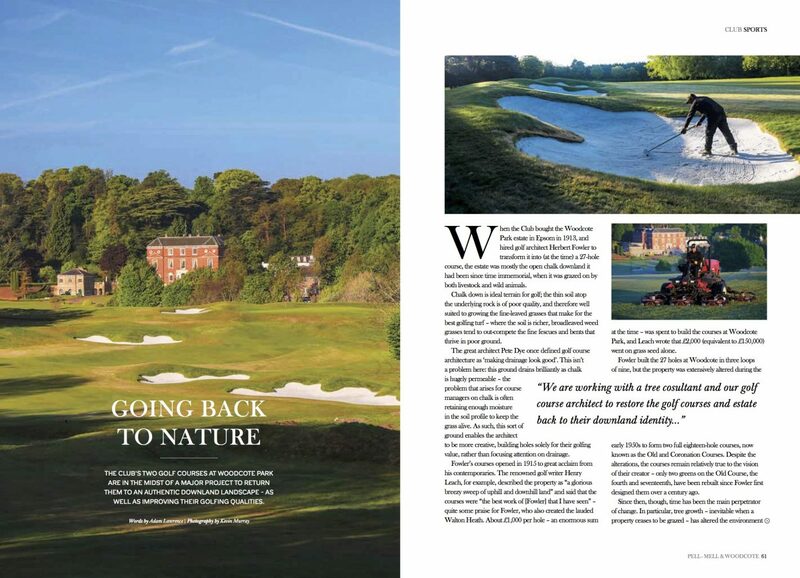 The production of the article involved a very early start one morning, walking the property at dawn with Lee Strutt, the RAC course manager, an old friend, then, later interviewing director of golf Jason Neve. Notwithstanding the antisocial hours involved, it was a pleasure to work with Lee, Jason and the rest of the RAC team, and we wish them the very best.